You must read this book because…this novel tells the story of a Native American teenager named Arnold “Junior” Spirit who suffers from physical ailments including hydrocephalus (which he refers to as “water on the brain”) and lives on a poverty-stricken reservation in eastern Washington. It’s first and foremost a bildungsroman (coming-of-age story) that focuses on Arnold’s transition into adulthood after he transfers to Reardan High School. I would highly recommend this book to anyone, but its themes and messages would resonate most with teenagers and young adults who would find it to be more relatable. It explores topics common in teenage-oriented books such as bullying, identity, self-esteem, while also delving into the many economic hardships the protagonist must face as he develops and grows. However, the novel continuously maintains a dichotomy of tragedy and humor as it successfully deals with issues such as alcoholism and death while lightening the mood with a combination of funny comics/drawings and the protagonist’s sardonic narration. The novel covers such a wide range of themes that anyone can find an aspect to empathize with and yet also looks at more unfamiliar subjects such as the struggles of Native Americans in modern society. There is rarely a dull moment and both the plot and narration are highly engaging. In my opinion, this novel truly contains something for everyone and is most certainly worth reading. This entry was posted in Read This!, Teen Powered and tagged memoirs, Native American, Teen Book Reviews, written by teens on March 18, 2015 by Teen Blogger. I finished Desert Solitaire by Edward Abbey with beautifully written scenic imagery. This book is about the author himself, Edward Abbey during the time he was a ranger in Arches National Park. This book itself gave such a sense of comfort the entire way through, the independence and closeness to nature that Abbey experiences and describes places the reader in his feet. I really enjoyed this book– the writing and simplicity makes it easy. The symbolism throughout the book gives it depth and dimension. Abbey also describes different memorable experiences with the wilderness which is quite captivating and a freshness to it that keeps you reading. As a result I do recommend this book, it provides something that not a lot of modern books include. This entry was posted in Read This!, Teen Powered and tagged Columbia, desert, memoirs, National Parks, Teen Book Reviews, wilderness, written by teens on January 8, 2015 by Teen Blogger. 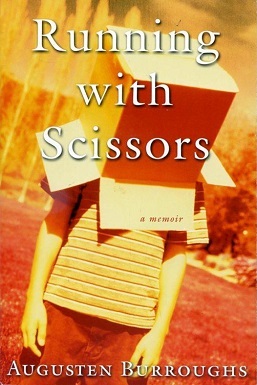 Summary: A memoir about a boy’s bizarre childhood featuring his mentally unstable mother and her psychiatrist, whose family and lifestyle take in Burroughs. Dr. Finch believes that a person can make their own decisions at age 13, meaning chaos. Some anecdotes evoke a cringe and nervous laughter (the behavior of Yale-certified Dr. Finch and his analyzation of his stools to predict the future, say) while others leave me wondering how Burroughs made it through in more or less one piece. Six word review: Crazy, almost unbelievable growing-up experience, recounted. What I couldn’t get enough of… the lack of any predictability. It was impossible to guess what would happen to the characters, what road Augusten would turn down. Part of this was Burroughs’ loose chronology with each chapter serving as an anecdote. The other part was the total craziness of the Finches. If Augusten was in a high school yearbook, he would be voted… nothing, because he never went to school. He got out of it with the help of Dr. Finch, who gave him the means to purposely land himself in a mental hospital. On a deserted island, Augusten would probably… practice his hair care skills and write. At a more sensitive point he discussed not wanting to be a writer because if he inherited his poet mother’s gene for writing, he might inherit the crazy gene too. I’m glad he wrote anyway. This entry was posted in Teen Powered and tagged Book Reviews, memoirs, Teen Book Reviews on February 24, 2014 by Teen Blogger. When the Library brought Luis Rodriguez to Seattle in November, students at Consejo read his book and wrote about their reactions to it. Over the next few weeks, we will be publishing some of their thoughts. This is an inspiring book, it speaks the truth. It’s an everyday life for a teen out in this crazy world. Every single paragraph has detail that makes you believe its your life being told. It’s like a movie in your mind. This book motivated me to find the way to break the cycle of the gang history in my familias past generations by helping others. People in similar struggles that can’t find a way to fight against the life style you once lived, that had you chained up. You opened the eyes of many teens to find the key to freedom and unlock the chains keeping them from a better life. Gang life has affected many but reading your book has motivated me to go to college and leave the past and become the future . This entry was posted in Activism, Community, Read This!, Teen Powered, Tidbits and tagged Always Running, Book Group, Book Reviews, gang days, gang life, L.A., La Vida Loca, life, Luis Rodriguez, memoir, memoirs, written by teens on December 29, 2012 by Teen Blogger. It’s really sad how Luis saw all this. People getting shot, beaten, and lots of arrests. He saw people selling drugs and heard that people that he knew had commited suicide. Luis said that when he had turned eighteen years old, about twenty-five of his friends had been killed by rival gangs police, drugs, car crashes and also suicides. What I felt when I read that part was that he has really been through a lot. But I know he had been through more than that. His mother was the only one in their family that actually completed high school. His unclies, Kiko and Rodolfo, crossed the border to find work, and they came back with NICE stories from the other side of the border. This entry was posted in Activism, Community, Read This!, Teen Powered, Tidbits and tagged Book Group, Book Reviews, gangs, memoir, memoirs, nonfiction, written by teens on December 22, 2012 by Teen Blogger.